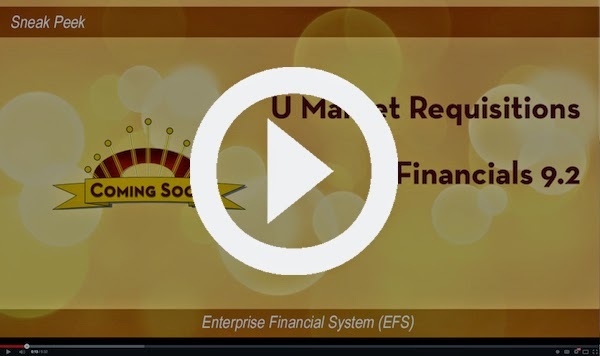 For everyone who creates requisitions in EFS, here is a brief video that shows how processing of U Market orders will change after The Upgrade is complete. U Market itself will not be changing but the basic EFS requisition pages will look a bit different. Please take 5 to 6 minutes to watch the video. It will help you prepare for the changes coming with the scheduled upgrade in April 2015*.